On the island states in the South Pacific, communities are pushing for independence while battling sea levels that are rising due to climate change. One of the key struggles in the region is the fight for freedom in West Papua, which comprises the western half of New Guinea. Since the 1960s, West Papua has been occupied by Indonesia. 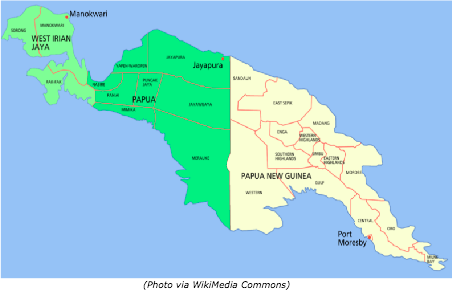 Indigenous West Papuans are still trying to gain their independence today. The Cultures of Resistance Network has been privileged to partner with some of the most dynamic and outspoken groups working for freedom in West Papua. We're proud to recommend to our networks great opportunities for supporters to get involved. From campaigning for the right to self-determination, to challenging the Indonesian government's ban on independent journalism, to joining in international solidarity to combat the perils of climate change, our allies are committed to calling out injustices and defending both their land and traditions. If you want to get involved, read below for some great opportunities to contribute by translating, donating, or demonstrating! 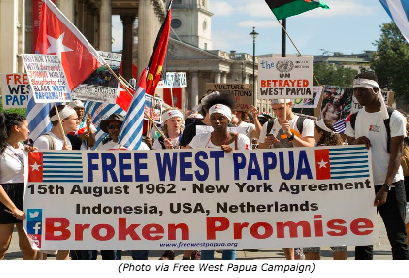 Launched in 2004 by West Papuan independence leader Benny Wenda, the Free West Papua Campaign aims to give the people of West Papua the freedom to choose their own destiny through a fair and transparent referendum. "Over the last fifty years Indonesia has carried out a social engineering project on a massive scale by relocating hundreds of thousands of people from across Indonesia to live in camps cut into the forests of West Papua. This program of transmigration has long been heavily criticised and has brought problems for both the indigenous population and transmigrants alike. As a result the population of West Papua in 2010 was around 3.5 million people, with an estimated split of almost 50% Papuan and 50% non-Papuan." 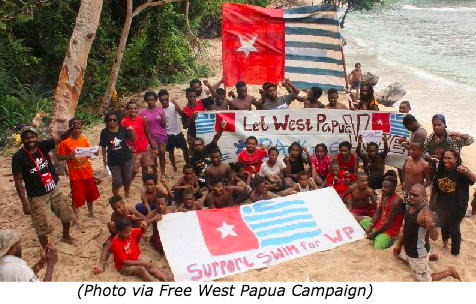 Wenda and the Free West Papua Campaign are working to raise awareness of the West Papuans' plight around the globe, while continuing to push for a referendum on self-determination. If you'd like to help, check out the campaign's website. You can join in by taking actions ranging from organizing a Free West Papua demonstration, to supporting West Papuan prisoners, to bringing a Free West Papua benefit concert to your town, to lobbying your elected officials, to subscribing to get more information. The Indonesian government bans independent reporting from inside West Papua, making it incredibly difficult for West Papuans to access fair and accurate news. 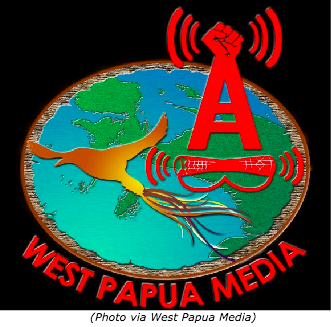 Our friends at West Papua Media (WPM), however, aim to change that by coordinating a network of journalists inside and outside West Papua. The organization monitors the latest independently verifiable news from West Papua, where journalists—Papuans and outsiders alike—are under constant threat of imprisonment. WPM specializes in reporting on human rights violations and civil resistance inside West Papua. By doing so, it seeks to create a situation where the Indonesian government’s ban on foreign media becomes impossible to enforce. You can help West Papua Media by making a donation or by offering to help translate materials. As climate change begins to turn island residents into the world's first climate refugees, communities on West Papua and the other Pacific Islands are taking action to protect their homes. 350 Pacific, part of the international 350.org network, represents individuals from numerous islands that are facing climate-induced challenges. In total, 350 Pacific has members in fifteen of the Pacific Island nations. They have four key demands: end the era of fossil fuels and move to 100% renewable energy, kick the big polluters out of climate talks, support the immediate delivery of resources needed for countries already facing irreversible loss and damage, and do what is needed to limit warming to 1.5°C. Visit their website to learn about ways you can get involved and show your support for these common goals, such as signing on to the Pacific Climate Warriors Declaration on Climate Change!